lofoten dri1 PrimaLoft170 short Gloves is rated 4.8 out of 5 by 9. Ce sont nos gants imperméables les plus chauds pour le ski et le snowboard, conçus pour offrir une liberté de mouvement optimale à la main dans un espace limité pour garantir chaleur et maniabilité. L'isolation PrimaLoft® Gold (170 g/m2) sur l'extérieur et l'isolation PrimaLoft® Gold ECO (133 g/m2) dans la paume offrent une excellente élasticité, de la douceur et de la chaleur. Le tissu extérieur stretch flex™1 garantit une durabilité, un ajustement et une flexibilité exceptionnels, tandis que la paume est réalisée dans une peau de chèvre résistante pour une bonne prise en main. Le tissu dri™1 rend ces gants imperméables et respirants. PrimaLoft™ One Gold g est une microstructure brevetée qui offre une excellente isolation thermique pour aider le corps à maintenir sa température et minimiser ainsi la perte d'énergie. Il s'agit d'une matière extrêmement légère et douce, qui a été développée à l'origine par l'armée américaine pour remplacer le duvet naturel. Étant donné que le duvet absorbe l'humidité, il perd sa capacité d'isolation thermique. En comparaison, la matière PrimaLoft™ absorbe trois fois moins d'eau et apporte 14 % de chaleur en plus lorsqu'elle est sèche et 24 % lorsqu'elle est humide. Rated 5 out of 5 by trstck from Amazing, perfect glove I bought these gloves at the onset of the 2017-2018 Canadian winter. I was looking for a waterproof, warm, under the cuff glove with minimal bulk and good dexterity. The search for a glove to meet that criteria was daunting. I researched 100's of gloves and talked to dozens of gearheads and outdoor stores/companies. I came across this glove by chance, since Norrona products in Canada are quite rare. After a lot of research and reading reviews I decided these are the gloves I was looking for. And they have passed all the tests I have put them through. Cold and windy -25 nights skiing, no problem. Warmer, wet back country skiing, no problem. Cross country skiing, snow shoeing or simply just playing outside. They are perfect. Love them. Got them in Grey. Now on to replacing my other winter gear with Norrona products. I will also say the company is amazing to work with and deal with. Thank you! Rated 5 out of 5 by trstck from Impressive Glove Writing this review from Canada, in January. I was in need of a glove for snowshoeing and cross country skiing mostly, and random outdoor fun. I wanted a glove instead of a mitten for increased dexterity. Also wanted and needed waterproofness and great insulation. With temps getting down to -30 or colder a lot and the dampness of the Ottawa Valley, finding the right glove is important and difficult. I researched a lot of brands and gloves and ultimately went with this glove. Im overly impressed. Out of the box I noticed their lightweight and lack of bulk and I loved that. I did not want a bulky glove and under the cuff is important to me. These hit the mark. My first test with them was cross country skiing for 3 hours, back country. Temp was -21 and -28 with windchill. At first my fingers started to feel the cold and I was concerned, but that lasted all of 1 minute. At no point during my ski did my hands get even just a bit cool. They were toasty warm. Their dexterity for holding my poles and getting my skis on and off was impressive. Later that same day I played out in the snow with my nephew for a couple hours, and this was the waterproofness test. Shovelling snow, building a snow fort, sliding down a hill and more, hands were very dry and still very warm. Im love these gloves and finally found a pair that holds up to the cold Canadian winters for outdoor fun. I for sure advocate for these gloves. Rated 5 out of 5 by Beryl 33 from Quality Gloves for Skiing Bought as a Christmas Present for my daughter. She has now had the chance to wear them on a skiing trip and says "Gloves are fab, not felt cold at all"
Rated 5 out of 5 by Max68 from Fantastic gloves! Fantastic glowes, warm and confortable! Great colour! Rated 5 out of 5 by G-Mac from Incredible Gloves Fantastic gloves that are very well made. The short size works perfectly with modern jackets. Rated 5 out of 5 by ashes from Warm, comfy gloves that pack down extremely well. I bought these gloves for for back country snowboarding in Australia. They are perfect! Nice and warm without roasting your hands on Spring days, super comfortable, easy to pull on and off, and pack away really nicely for when you don't need to wear them. I highly recommend these gloves! Rated 4 out of 5 by DWKDO from Previous version was better I love Norton’s Lofoten gear. I was lucky enough to have 2 prior sets of lofoten short gloves in GoreTex. Those gloves were far superior to the new version. They felt better and more streamlined. They were easier to perform tasks. 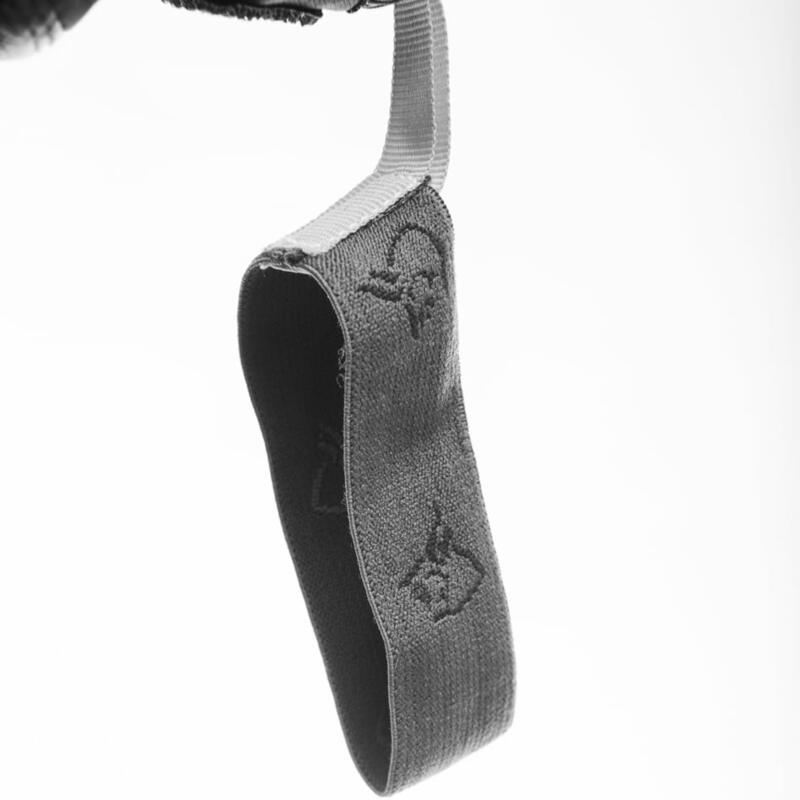 Secondly, the wrist strap with elastic and string was better on previous model. The elastic would wear over time but the loop string method if caught wrong could tighten and strangulate hand. That was never a problem before. I like these gloves but loved the prior model. Norrona is progressive and always improving, but they missed the mark on this update. If you are looking for a good light weight glove, this is a good option. Unfortunately, it isn’t the best option like the prior model. Rated 5 out of 5 by danmac147 from Incredibly comfortable I bought these a few weeks ago, as an upgrade. Just back from skiing for 10 days. They're very light, non-bulky and warm. The ties onto your wrists make them so handy for removing and you wouldn't notice them at all whilst skiing. They have these loops so you can easily pull them onto your hands. The colour is very distinctive and I think looks great. Overall, more than satisfied even considering they are the most expensive pair of gloves I've bought. 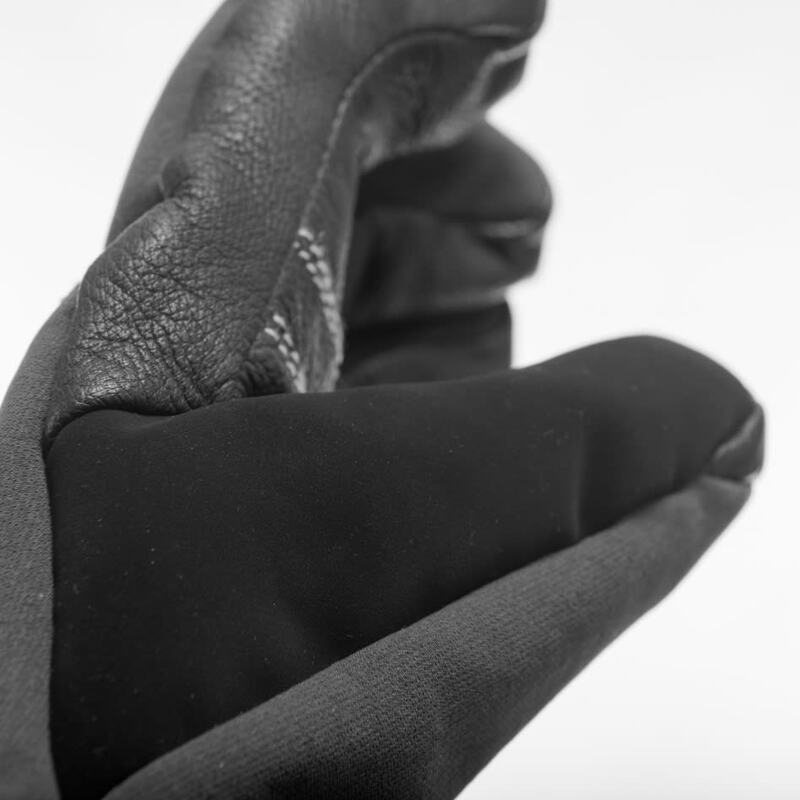 Can these gloves be used on the motorcycle? Hi there, do these gloves have wrist straps to stop them dropping when you them off on a ski lift etc? What is the best way to wash these gloves that have dri fabric and leather?